It’s finally that time of year when birds are chirping, flowers are blooming, and you’re ready to begin your outdoor entertaining. Before busting out the patio furniture or hosting your next barbecue, here’s a complete spring checklist to get your deck ready for summer. #1 – Inspect the deck structure. 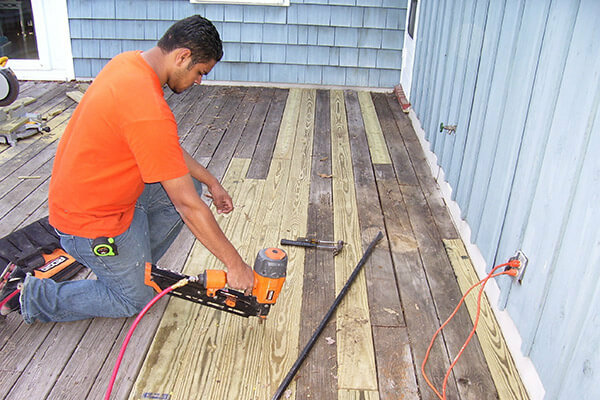 Start by checking your deck from top to bottom, especially if it’s made of wood. Look for things like damage mildew, rot, or missing nails. This may be manifest in areas of soft spots, discoloration, splintering, or loose boards. #2 – Replace any damaged areas. Any rotting or damaged spots should be repaired with new wood and nails. 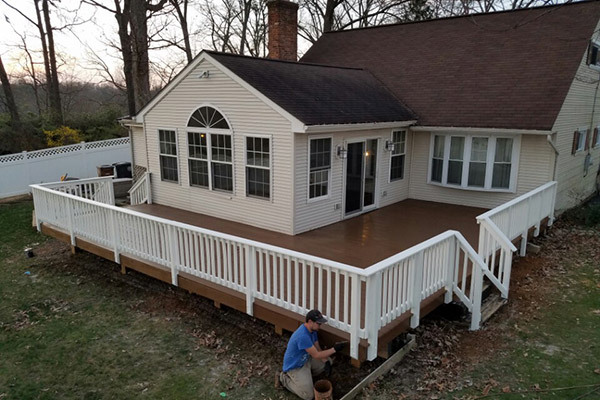 While this process may be difficult to tackle yourself, DeckMaster can replace any damaged areas quickly and effectively as part of our deck maintenance and deck repair services. #3 – Treat and fortify vulnerable spots. Areas with mildew—if not too extensive—should be treated with a wood cleaner that’s recommended for your specific deck stain. DeckMaster professionals can inspect and clean your deck with the proper solution for your surfaces. #4 – Clean your deck surface. Your first thought might be to rent a pressure washer and clean your deck yourself. However, this can actually cause long term damage to your deck. 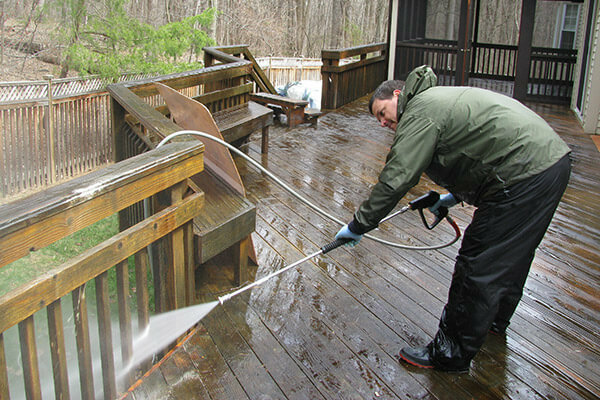 Instead of relying on unnecessary pressure, DeckMaster uses a powerful non-toxic cleaning solution that rejuvenates wood without causing mold, fading, or splintering. #5 – Evaluate the stain on your deck. 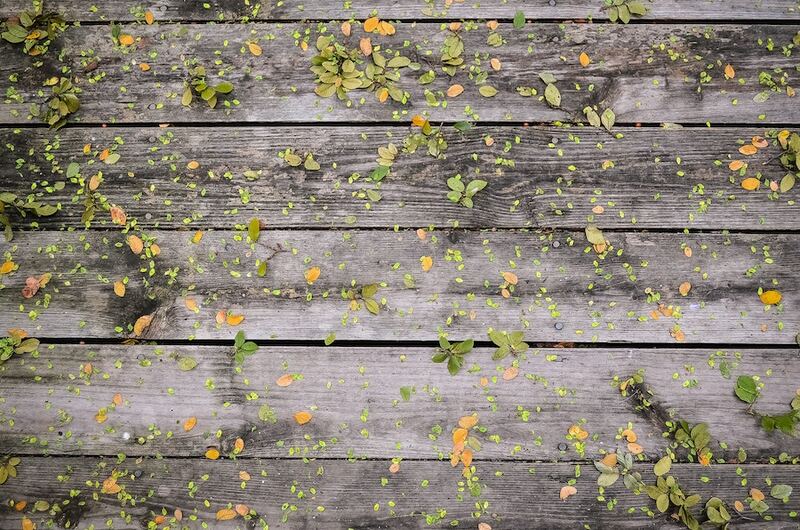 If your deck stain is flaking or worn, it may need a fresh coat. DeckMaster can apply a durable stain that not only brightens and refreshes your deck, but protects it against future weathering and wear. #6 – Upgrade your outdoor entertaining space. Now that your deck is as good as new, it could be time to add some new features. Consider your patio furniture, accent lighting, or potted plants. And voila! You’ll be ready to have guests over in no time. Getting your deck ready for spring can be an extensive annual task, but you don’t have to take it on yourself. DeckMaster can help with the entire deck restoration process—like cleaning, repairing, sealing, staining, and refinishing. Get started on your spring deck maintenance project today!